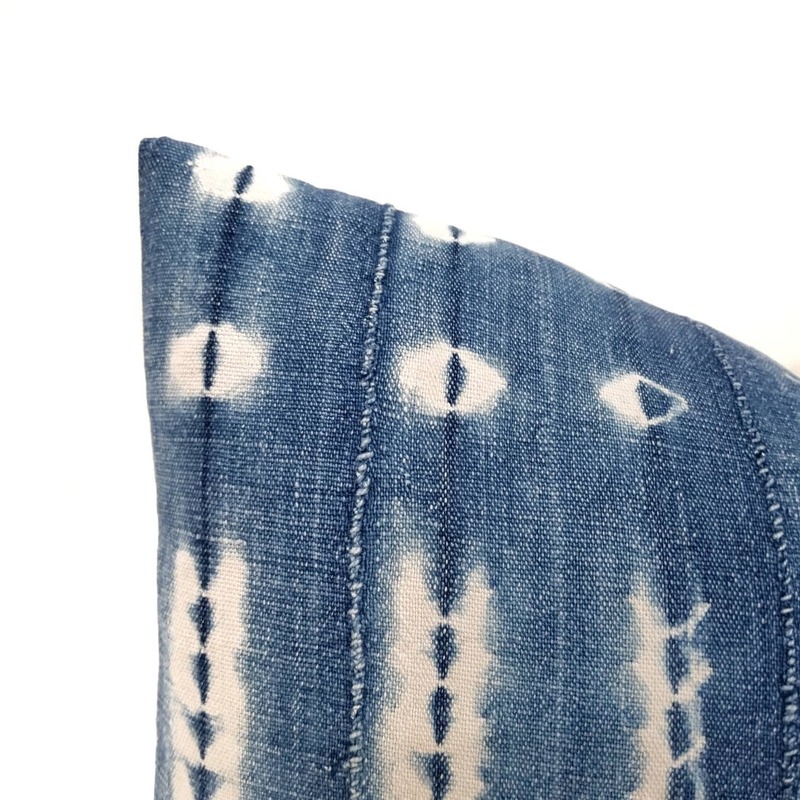 Approximately 12"x19" Pillow cover made of vintage indigo african mudcloth. Fitted with a 12"×20" insert. *Print placement may vary slightly on each pillow. *Actual measurement of the pillowcase may be smaller by .5"- 1". Size indicated in title is the insert you should be using to fill the pillow. 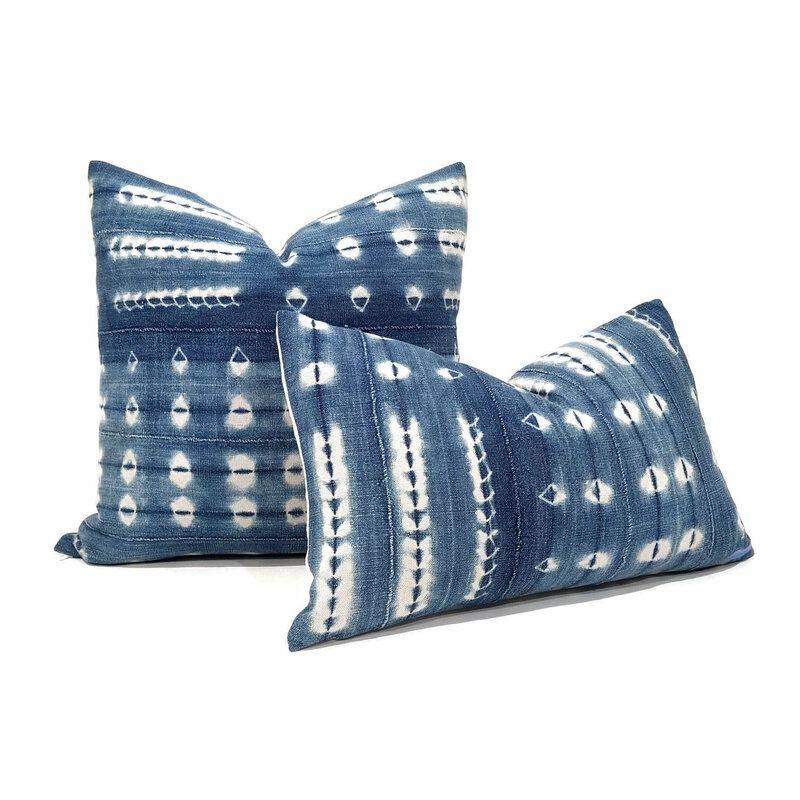 Very well-crafted, and less expensive than comparable pillow covers I've seen in other boutiques. Customer service from myhavenhome is always amazing - I'll definitely be coming back!